Based out of Akbarpur in the Ambedkar Nagar district in Eastern Uttar Pradesh, the Awadh Mutineers’ story is as heart-warming as it is inspirational. 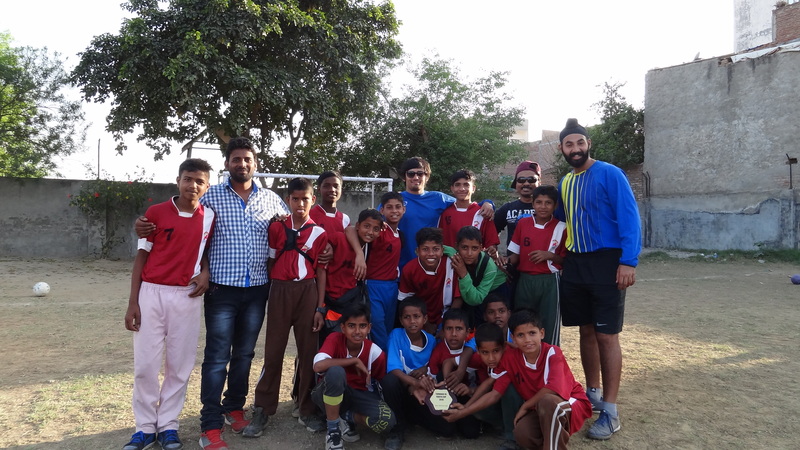 Founded back in 2013, the Mutineers is the only club in Akbarpur, and was founded with the aim of promoting Football in these parts as well as provide sports training and education to kids belonging to under-privileged backgrounds. 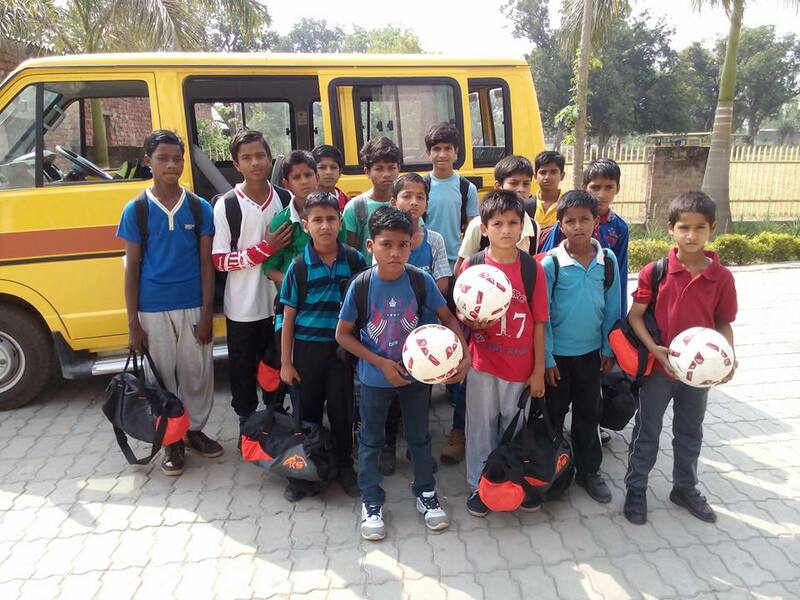 Over the course of two years, the club has fully supported the schooling and football education twenty kids from different families across Akbarpur. 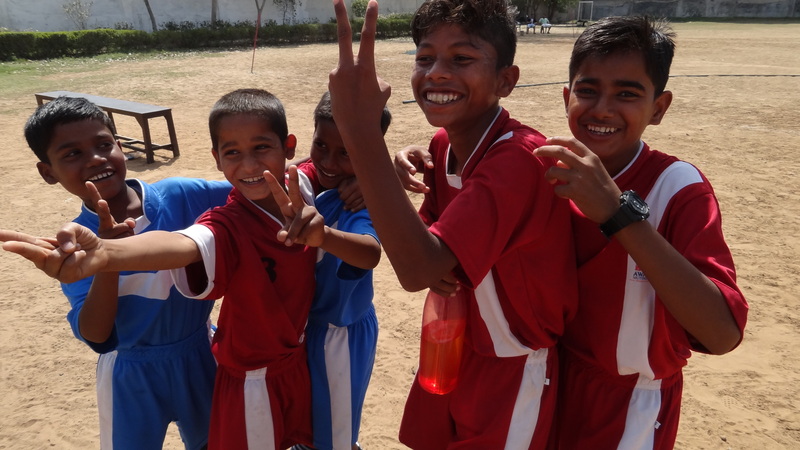 While they have gradually improved at football and tasted success in local matches, the management felt it was time to test their talents outside of their hometown, and what better place for the next chapter of their story than the big city of Delhi. The boys had never travelled outside their village, but being the confident and determined bunch that they are, they couldn’t wait! They began their journey with an overnight bus from Akbarpur to Lucknow, where they boarded a train to the Capital. The young Mutineers enjoyed seeing planes and travelling by the metro for the first time, and soon they were well settled in at the Gurudwara they were staying at and raring to go for the start of the Tornado Tournament the next day. 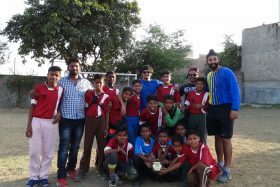 Though meant only for the clubs in and around Delhi, the Tornado Tournament was happy to welcome the Mutineers as the only team from outside. However, they would be competing against boys from a higher age group. A stiff challenge on their first trip away from home. Speaking to Khel Now TV, Co-Founder and CEO Ritesh Pandey said, “The main goal behind getting the Mutineers to participate in the Tornado Tournament was for them to come up against new talent and a higher level of competition so as to aid their development process”. 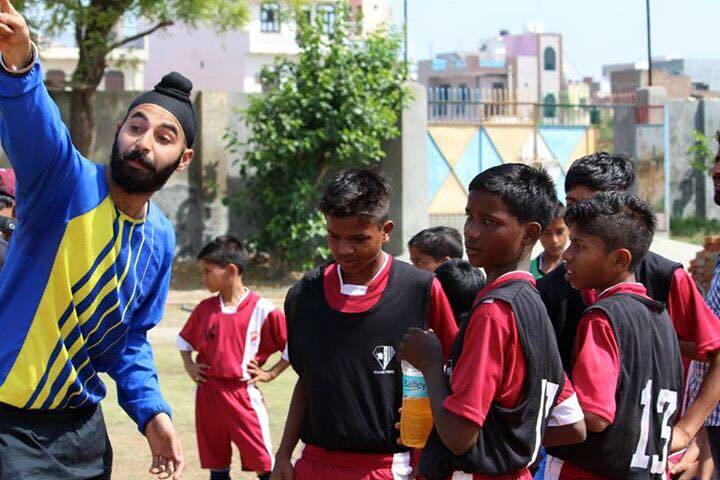 Technical director Gurpratap Singh cited the importance of quality training provided to the kids and how its importance is understood when applied in real matches. “The Tournament is the perfect platform to see how far the team has come”, he said. The Mutineers began Day 1 with a win, but faced a setback in their second game. Despite a good performance, they were beaten by a physically stronger team. A tiring, exciting day, and soon it was time to go back to the Gurudwara for the night. They were well fed and rested and were all set for Day 2. The Mutineers started on the front foot the next day, but a freak injury to their Goalkeeper halted their charge. The push on, and quickly regroup to win the game. After competing with (and beating) boys in a higher age category and physically stronger than them, the young Mutineers had reached the semi-finals! Assistant Coach Mukesh Singh explained. “The greatest strength of the kids is their ability to adapt to the different conditions. They may not have the same facilities back in their hometown as are available in the city, but their passion and eagerness to learn has seen them come leaps and bounds in a short time”. The team displayed all these qualities to end the day with back-to-back wins and qualify for the semi-finals. For the semi-finals, the Mutineers met the team that beat them on Day 1, and took the lead, but it was cancelled out and the match finally went to penalties. There was heartbreak for the boys as they were beaten on the cusp of the final, but everyone came together to recognise the effort put in by the team and coach. The youngest star Mutineer Ali won the ‘Best Midfielder’ award to cap off a great debut tournament! Citing his plans for the future, Mr Pandey said he would like to see the tournament’s reach grow and for this level of competition to be accessible to a larger number of youngsters. Thus ended the maiden journey of the Awadh Mutineers. They may have packed their bags and bid farewell for now, but one can be sure they’ll be back with their brand of football magic very soon!